Back of the Cereal Box: Fun With All Night Nippon Super Mario Bros.
One of the best parts of Nintendo8.com is that it allows gamers to experience games they never had a chance to. Ones their parents wouldn't buy for them, ones they were too embarrassed to own and games that never made it outside of Japan. 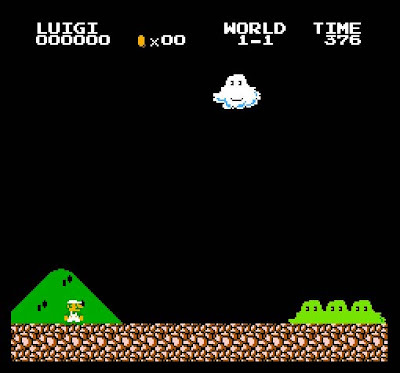 The one Mario-related title up so far is All Night Nippon Super Mario Bros., a game I had heard about before but never bothered to download for any previous emulator. 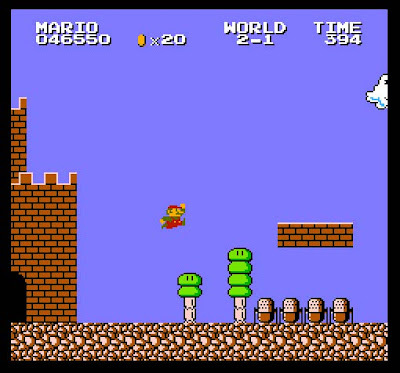 All Night Nippon Super Mario Bros. is a retooling of the original Super Mario Bros. engine. 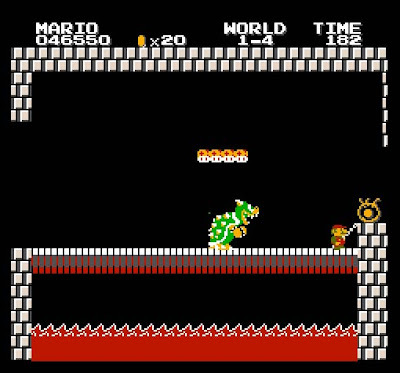 In addition to some graphic substitutions, the stages play differently — a mix of the original levels, ones from the arcade game Vs. Super Mario Bros. and the Japanese Super Mario Bros. 2. All Night Nippon was a popular Japanese radio program in the '80s, and Nintendo apparently made the game in 1986 for the show to raffle off as a promotional gimmick. "all night nippon." to be honest, it could say anything. Hello Mr. Goomba. But wait! You're no Goomba at all. You're... a strange bald man with sunglasses and no torso. Some levels are more-or-less like the original. Level 1-1 plays fairly familiarly, with the most immediately noticeable changes being cosmetic. It's night — All Night Nippon, after all — and the background sprites are from The Lost Levels. In short, Nintendo slapped a face on anything they could. 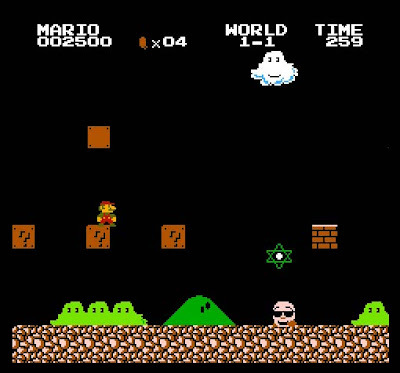 For those only familiar with the regular Super Mario Bros., the items will seem strangely placed. Unless my memory is failing me, that should be a Fire Flower popping out of that question box, not a Starman. And when I say Starman, I mean six-pointed Star of David. Don't doubt the power of Judaism in the Mushroom Kingdom. The flag the arised from the end-level castles now bears the symbol of the Fujisankei company, which owns Nippon Broadcasting, which in turn features All Night Nippon. 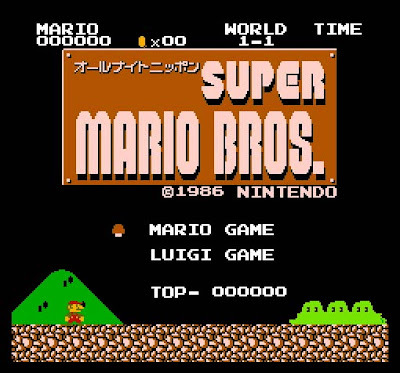 The Mushroom Kingdom's entry on this game notes that Fujisankei also owns Fuji TV, which developed Doki Doki Panic, which became the American Super Mario Bros. 2. Gotta love that product placement. There are some irregularities. 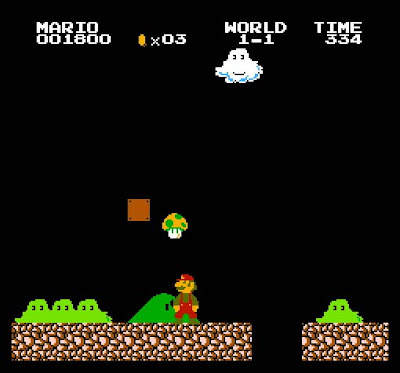 For example, it's daylight at the beginning of Level 1-2, but night again when Mario emerges from the sewers. 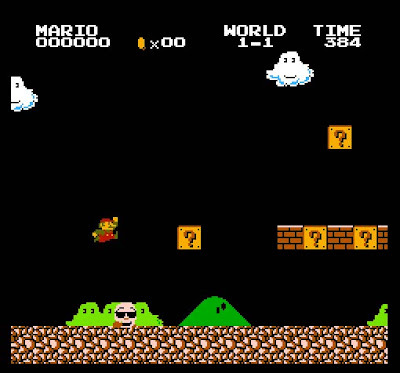 Down below, you'll notice that the Piranha Plants have been replaces with more sunshades-wearing mystery celebrities. Creepy, actually. 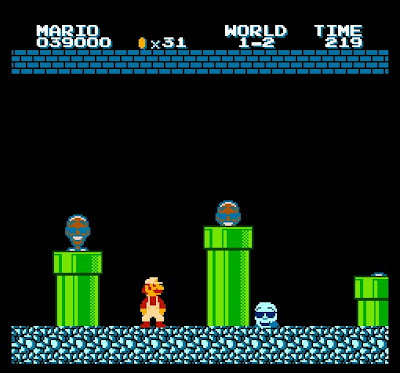 Also, the blue-toned Goomba replacements look like skulls. Little else is all that different, however. The axe that for whatever reason keeps the Bowser bridge intact is now a larger version of the Fujisankei logo, which makes as much sense as a bridge stabilizer as an axe, I suppose. Also, the Frujisankei logo looks like a stylized, lashed version of the CBS eye. 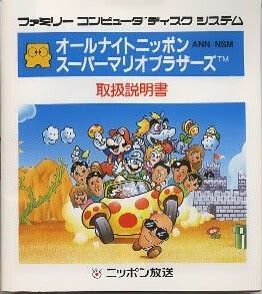 Most troubling: I was led to believe that this title has Mario rescuing All Night Nippon personalities in lieu of Mushroom Retainers and Peach. No dice, it seems, at least with the version posted at Nintendo8.com. I've seen this screen before. The entry for this title at Nintendo Database has the proper line-up, which I've stolen and re-posted here so you can imagine what rescuing unknown Japanese celebrities would have been like. Fun crew, it looks like, and more chromatically varied than Peach and the Toad crew were in the game's original iteration. Another small change evident in Level 2-1: The mushrooms dotting the background landscape have been replaced with microphones. And then my clumsy hands — which refuse to learn how to play video games using my computer keyboard — failed me. Level 2-4 is as far as I got. No telling whether the glitchy character replacing the "v" in "OVER" is a product of the original game or me playing an emulated version. 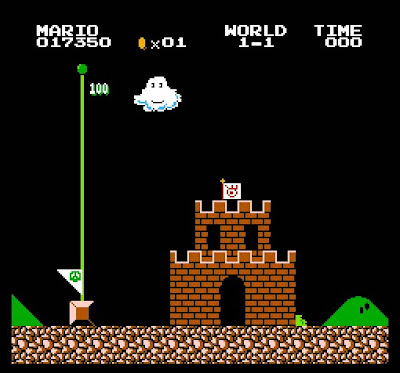 A big notable change is the option of playing as Mario or Luigi, with the latter retaining his high-jumping, low-traction properties. Again, maybe it's a problem with the version posted, but when I selected "LUIGI GAME" I ended up still playing as Mario. 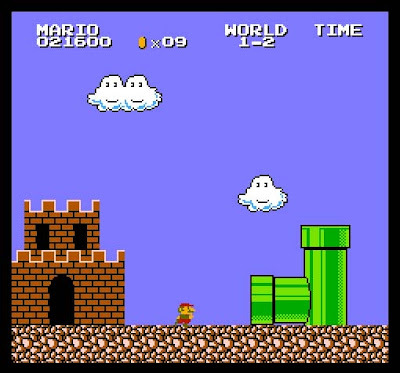 Lean Green didn't take over until Mario died, and even then I couldn't convince him to move, I'm assuming because the keyboard that controls Mario is identified to the emulator as the controller for Player One. 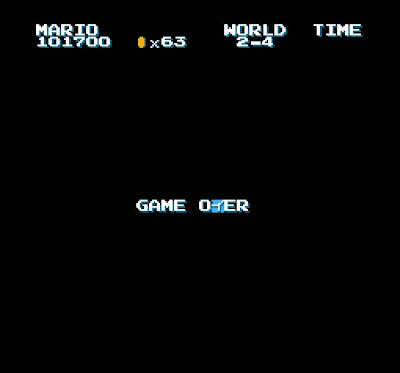 So Luigi just stood there, unmoving and alone until his timer ran out. Fitting, in a way. 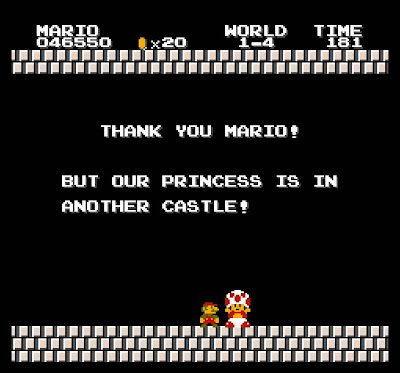 All in all, I'm glad I played this footnote of trivia in Mario's history. It's neat the game was made, but now I can happily never play it again. As a free upgrade for those who purchased the original Super Mario Bros. on the Wii Virtual Console, however, All Night Nippon might be cool, if only to allow me to play it with a real controller. Here's a YouTube clip of somebody who had better luck with it. I'm assuming the end of the "trip of long friendship" mentioned is a reference to Luigi, who surely got his moustache out of joint when he heard the celebratory poem referred to Mario as "our only hero."